Ciao, Roma! Acacia Communications to take the stage at ECOC 2018 - Acacia Communications, Inc. 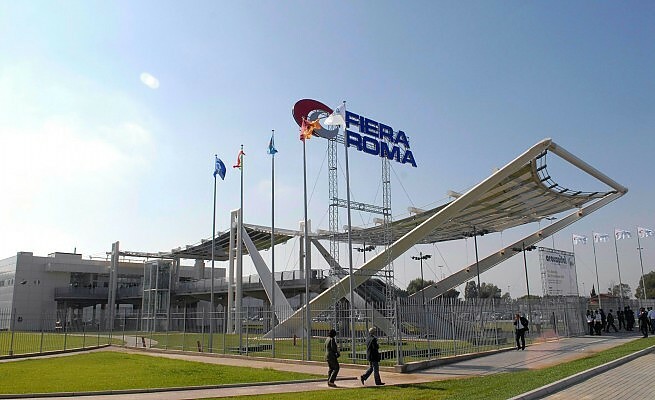 In a few short days several members of the Acacia Communications team are scheduled to attend the annual European Conference on Optical Communication (ECOC) Conference and Exhibition at the Fiera Roma in Rome, Europe’s largest optical communications event. On the agenda for this year’s show are topics ranging from next-generation data centers to optics as an enabler for 5G. We are bringing a full team to talk to customers and partners and to learn more about the advancements our colleagues are making in optical communication technologies. We’re looking forward to discussing the progress of coherent optical technology and the industry transition to the 600G (per-wavelength) era which where capabilities, such as high-baud-rate optics, fine-tuned coherent transmission flexibility, and enhanced forward error correction (FEC) algorithms, are raising coherent performance to new levels. In addition, today’s technology is designed to enable common coherent optical hardware to achieve the high-performance finesse of a long-distance link, the sheer raw capacity for shorter edge links, and scales to applications in between. This is the reason why some refer to the 600G era coherent technology as multi-haul technology since the same set of hardware can address long-haul, metro, and DCI-edge networks. Learn more about the 600G era by reading “Fill Capacity Gaps in Your Optical Network” just published in the Autumn Edition of Optical Connections Magazine. Acacia plans to show its AC1200 coherent module with dual-core design enabling 1.2 Tbps error-free transmission over fiber with 600 Gbps per wavelength coherent transmission. The AC1200 also features high-baud-rate high-performance capabilities as well as fine-tuning of the transmission using 3D Shaping which optimizes reach and capacity utilization. 600 Gbps performance requires DSP and optics technology with both high bandwidth and high performance. Acacia’s AC1200 module, which is based on its internally developed silicon photonics technology, uses advanced techniques to minimize implementation penalties and high-gain soft-decision forward error correction (FEC) to improve performance margin. Not only does this allow AC1200 to achieve high capacity 600 Gbps per wavelength transmission, with up to 1.2 Tbps, but it also results in improved performance at lower data rates, such as 200 Gbps and 400 Gbps, compared to existing solutions. Also at the show, we expect to hear a lot of discussion around advances in coherent technology to help meet growing bandwidth demand beyond the core. Today, coherent is moving from metro core to access aggregation networks. The industry is working to standardize coherent solutions for even shorter reach interfaces including two new specifications recently announced by CableLabs that are the result of a focused effort to develop coherent optics technology for the access network and bring it to market quickly. We look forward to discussing Acacia’s participation in the industry organizations such as Optical Internetworking Forum (OIF), IEEE, and Cable Labs and the trend towards using coherent solutions such as Acacia’s award-winning CFP2-DCO for shorter distances. 9:00-12:30 – Timo Pfau, principal DSP engineer, will present on “What can DSP bring to optical access” in the DSP for Next Generation Optical Access Workshop. 9:00-12:30 – Christian Rasmussen, founder and vice president of digital signal processing and optics, will share his thoughts on the “Future scaling and capabilities of DSP algorithms” in the Coherent DSP in Optical Communications Workshop. 9:00-12:30 – Hongbin Zhang, principal DSP engineer, will present on the “Future of transponders for submarine transmission” in the Submarine Systems Workshop. 1:30 p.m. – Timo Pfau will present his invited paper titled, “High performance coherent ASIC” as part of the SC3 – Digital Signal Handling Techniques for Optical Communication Systems session. Our team of experts is available to discuss Acacia Communications’ latest innovations in optical interconnect solutions. If you’d like to meet with Acacia at ECOC, contact us. We’d love your feedback!